Home Unlabelled Incredible 2,500-year-old cave paintings of dogs, boats and shield-wielding warriors are discovered on a tiny Indonesian island. Incredible 2,500-year-old cave paintings of dogs, boats and shield-wielding warriors are discovered on a tiny Indonesian island. 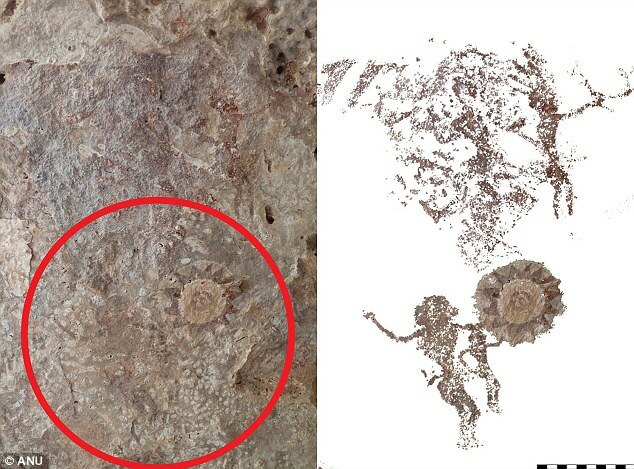 A number of detailed ancient cave paintings have been found on a tiny Indonesian island previously unexplored by archaeologists. The scenes, which are at least 2,500 years old, depict boats, dogs, horses and warriors holding what look like shields. A total of 28 rock paintings were found, with each mural helping to tell the story of the region's rich history of trade and culture, the researchers said. 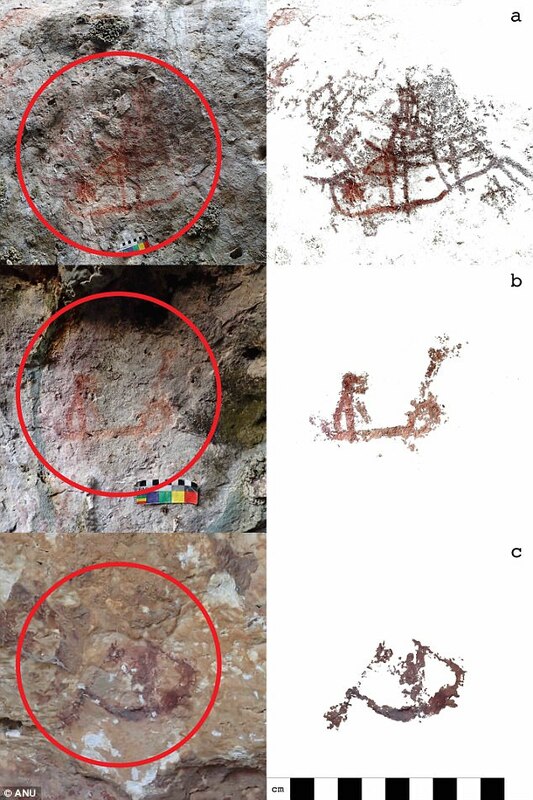 The paintings, found on the tiny Indonesian island of Kisar, depict dogs, horses, boats and shield-wielding warriors. Other artworks show locals playing drums, perhaps performing ceremonies. The paintings are remarkably similar to ancient murals found on the neighbouring island of Timor. This suggests a stronger shared history between the two than had previously been known. The relationship between the two islands likely extends back to the Neolithic period 3,500 years ago. This period saw an influx of 'Austronesian' settlers from the likes of Malaysia, the Philippines, Polynesia and Fiji. Domestic animals, such as the dog, and cereal crops were likely introduced by these groups. The Indonesian island of Kisar where the artworks were found measures just 31 square miles (81 sq km) and is home to 28,000 people. 'Archaeologically, no one has ever explored this small island before,' said study lead author Professor Sue O'Connor, from The Australian National University in Canberra. 'These Indonesian islands were the heart of the spice trade going back for thousands of years. 'The paintings we found depict boats, dogs, horses and people often holding what look like shields. 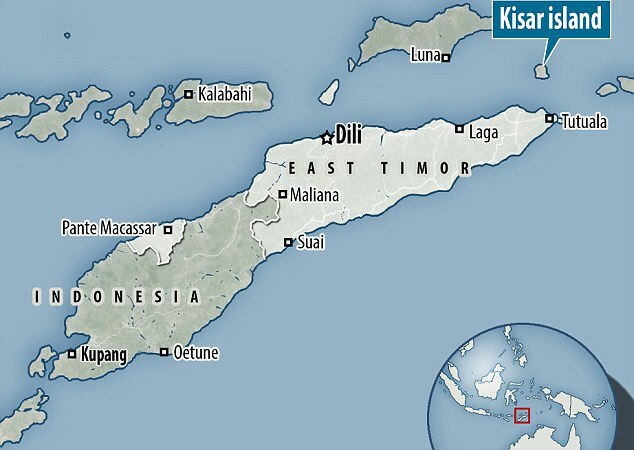 Professor O'Connor said the discovery pointed to a stronger shared history with the neighbouring island of Timor than had previously been known. 'The Kisar paintings include images which are remarkably similar to those in the east end of Timor-Leste,' she said. 'A distinctive feature of the art in both islands is the exceptionally small size of the human and animal figures, most being less than 10 centimetres (four inches). The relationship between the two islands likely extends back to the Neolithic period 3,500 years ago, the researchers said. Domestic animals, such as the dog, and cereal crops were likely introduced to Kisar by these groups. 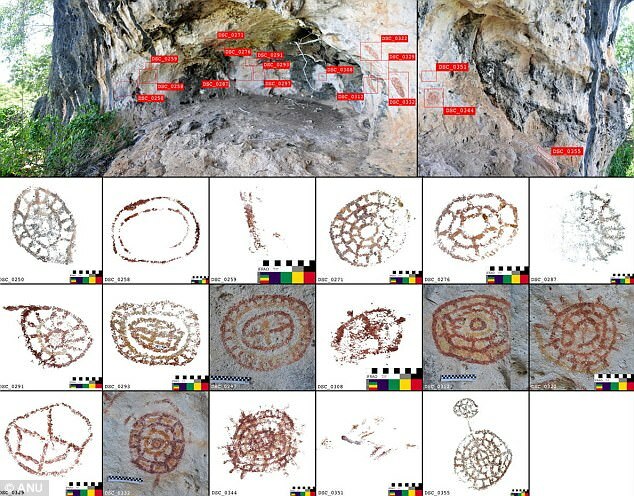 Close parallels have been found between some of the painted figures and images cast on metal drums that began to be produced in northern Vietnam and southwest China about 2,500 years ago and traded throughout the region. 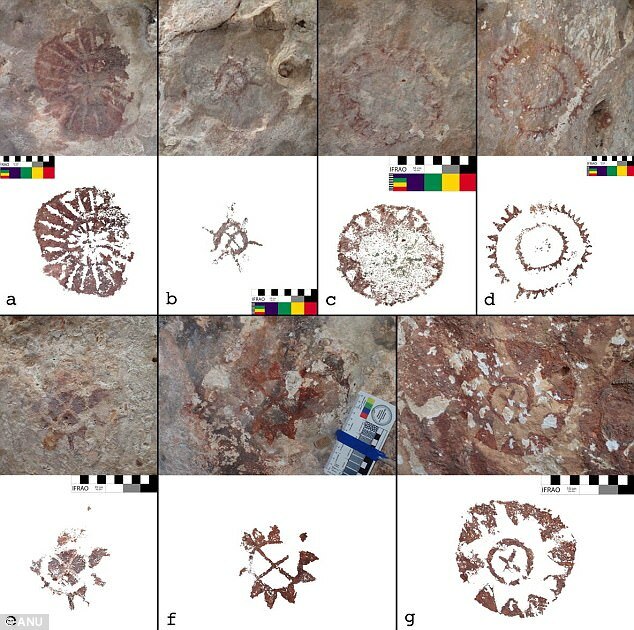 This indicates a more recent date for some of the paintings, the researchers said. 'These paintings perhaps herald the introduction of a new symbolic system established about two thousand years ago, following on the exchange of prestige goods and the beginning of hierarchical societies,' Professor O'Connor said.